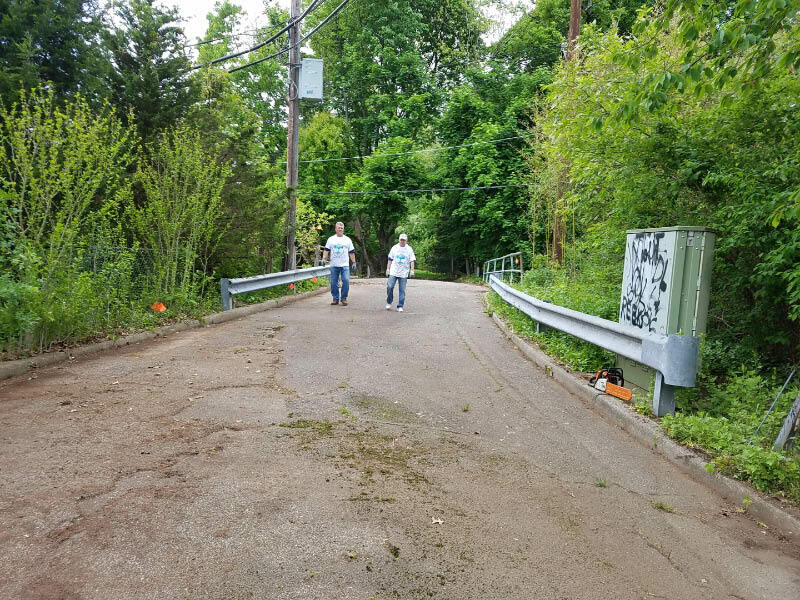 A total of 60 Motor Parkway bridges were built for major intersections , railroad tracks and to connect farm properties. Of the 39 bridges built in Nassau County, a total of 18 bridges were built in the Town of North Hempstead. 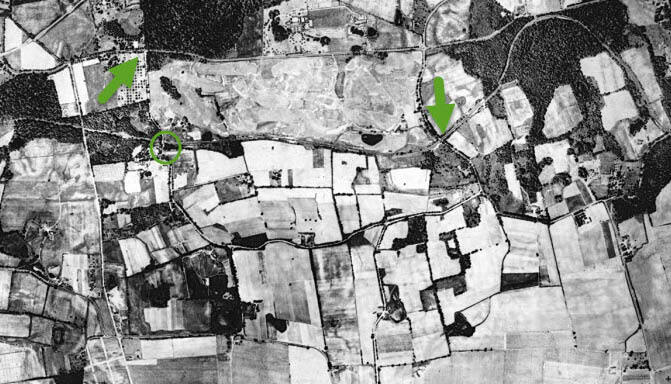 As seen in this 1924 aerial, Old Courthouse Road connected I.U. Willets Roads and Shelter Rock Road (formerly called Highway to Mineola.) 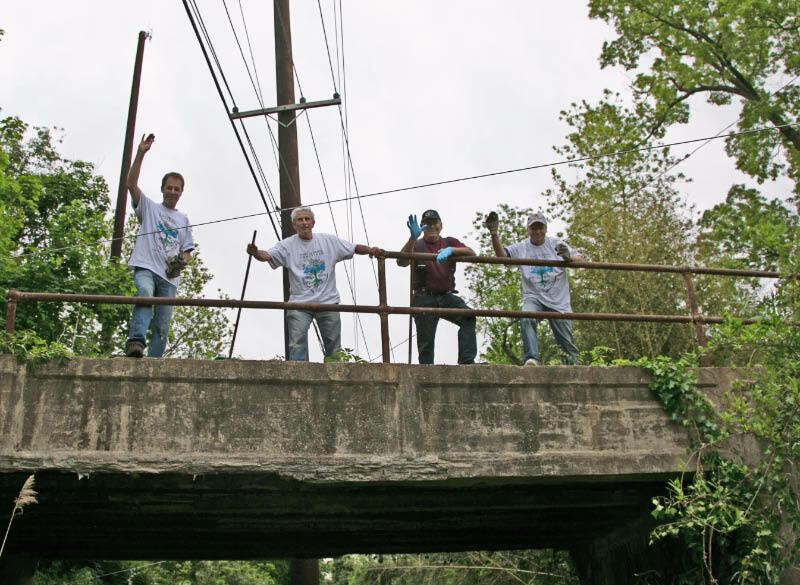 The Old Courthouse Road Bridge, built in 1909, is the only remaining Motor Parkway bridge intact in North Hempstead and one of eight intact Motor Parkway bridges. 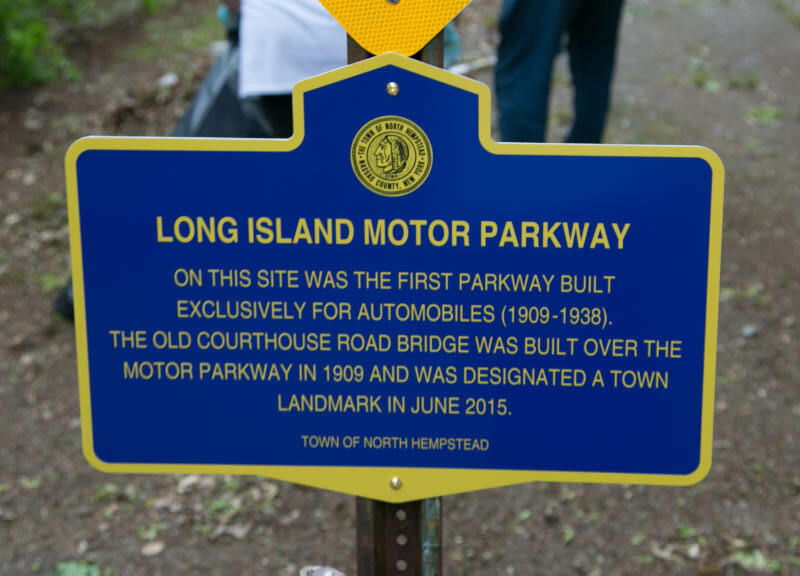 On June 1, 2015, the bridge was designated by the Town Board of North Hempstead as the town's 18th landmark. 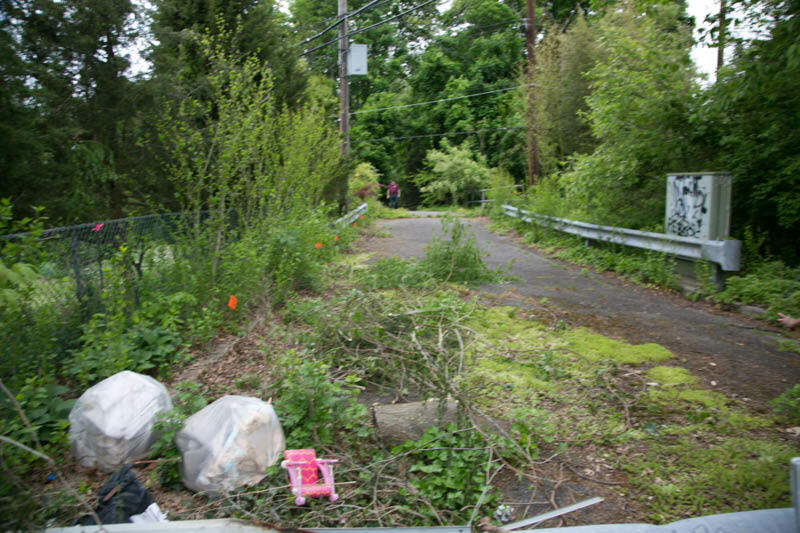 Phase I of the clean-up focused on removing debris and weeds from the top of the bridge. Poison Ivy was marked on Friday night by a nearby resident. 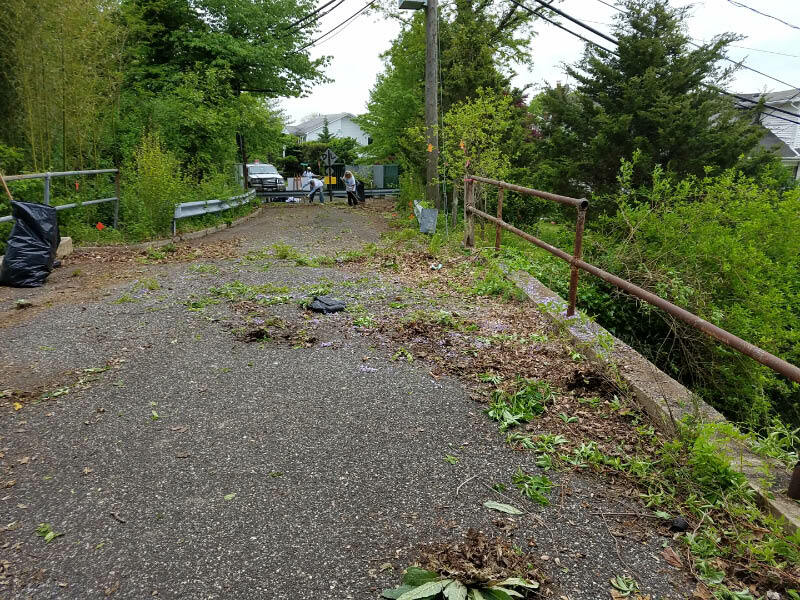 The Town of North Hempstead and PSE&G (which owns the Motor Parkway right-of-way in this area) will be planning a major Phase II clean-up under the bridge in the fall. A mock-up of a future historic marker for the site was prepared for today's clean-up day. 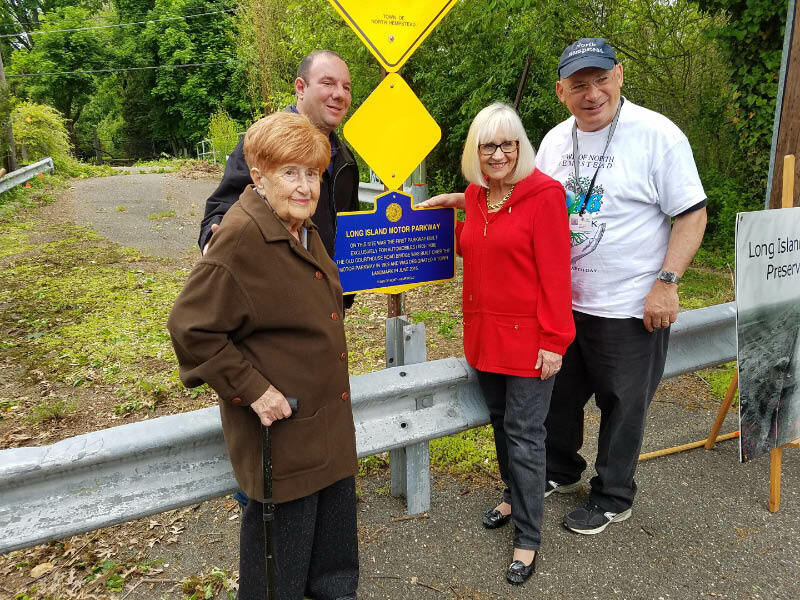 From right to left: Town Historian Howard Kroplick, Town Supervisor Judi Bosworth, Town Councilman Peter Zuckerman and New Hyde Park resident Hazel Kaufman. 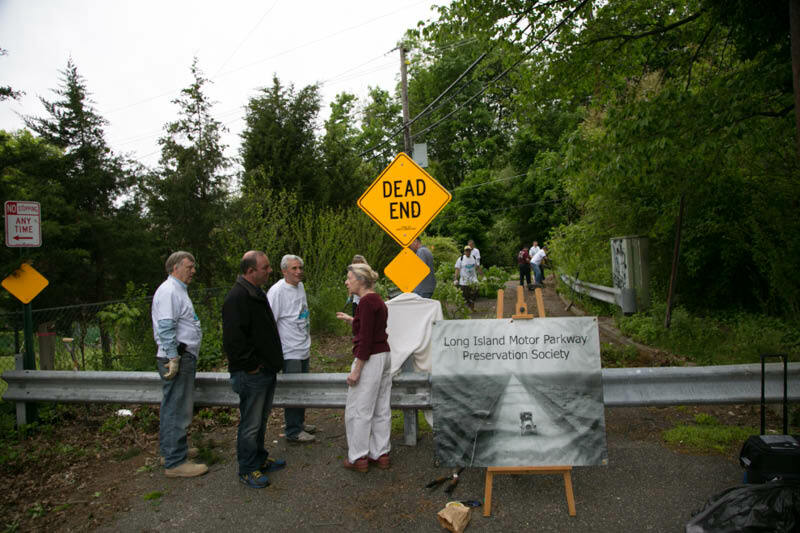 Supervisor Bosworth and Councilman Zuckerman were strong supporters of landmarking the bridge inspired by a letter from Ms. Kaufman. Courtesy of Bruce Adams. 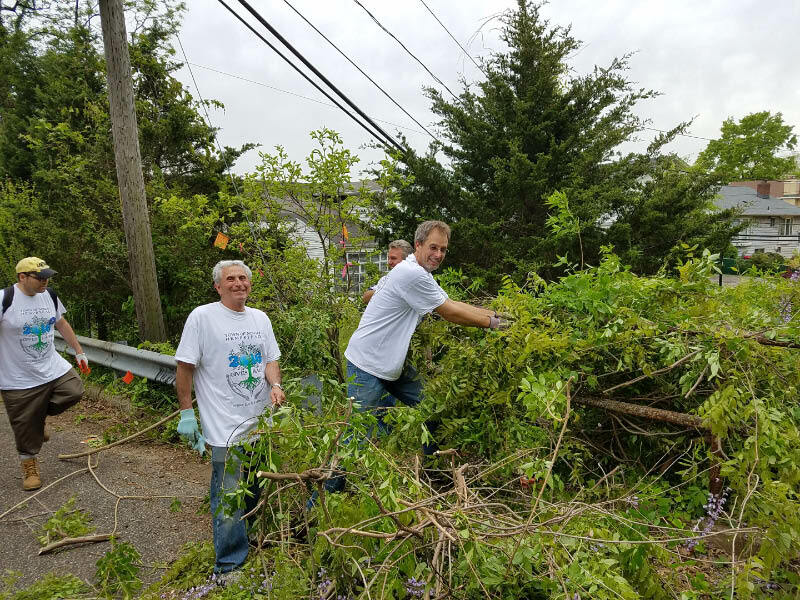 The clean-up team with Supervisor Bosworth and Councilman Zuckerman. Councilman Zuckerman's legislative aide Jim Moran. Councilman Zuckerman checking out the bridge. The Motor Parkway can be seen in the background looking west towards New Hyde Park Road. 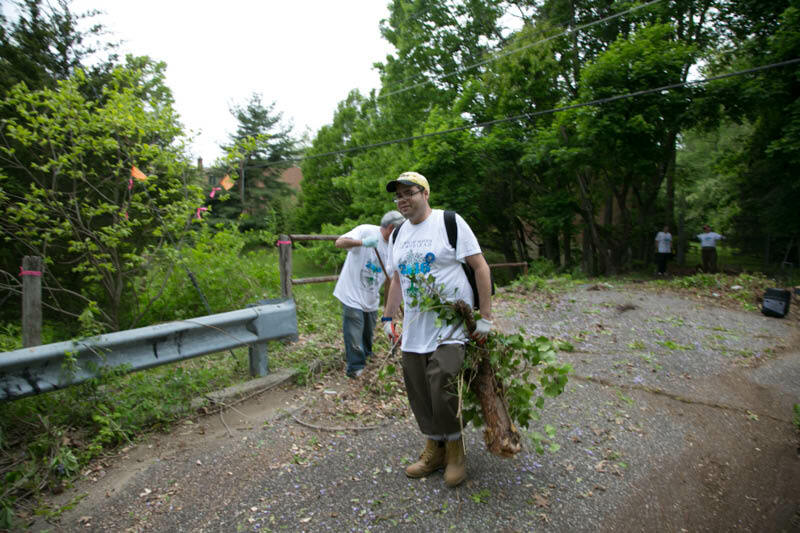 Georgette, whose property borders on the Motor Parkway, expressed her appreciation for today's clean-up. 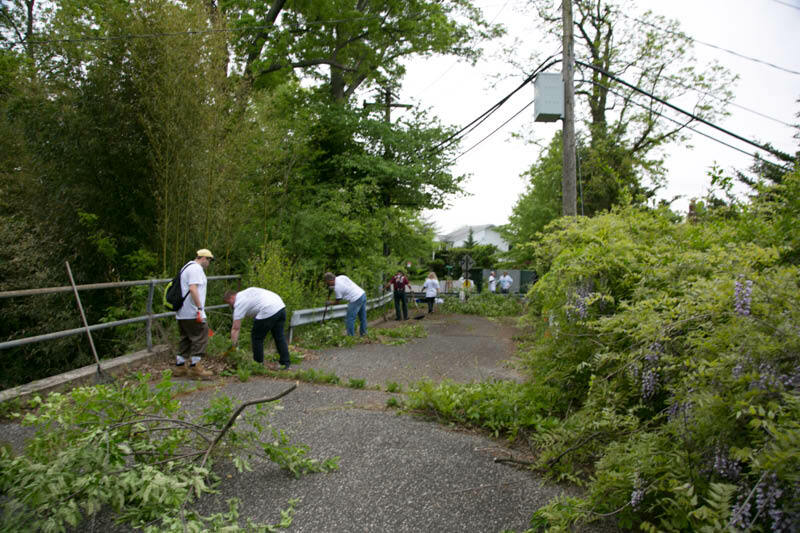 Thank you for providing us this opportunity to clean up another part of the Motor Parkway. Great seeing so many enthusiasts show up to help out. Likely one of the best spots to recall our historic past. Easily accessible, wonderfully walkable and yet near to but hidden from main roads such as New Hyde Park Road. Sam, thanks for the kind words. This section of the Motor Parkway opened in 1909. Looks like you folks did a great job! Thank you. A nice mix of community service and amateur of archeology. 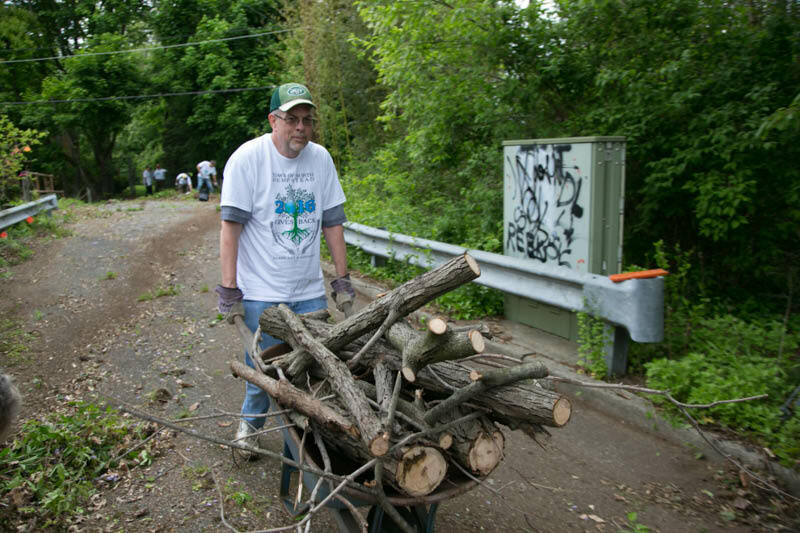 News of future PSE&G right of way clean up is encouraging. 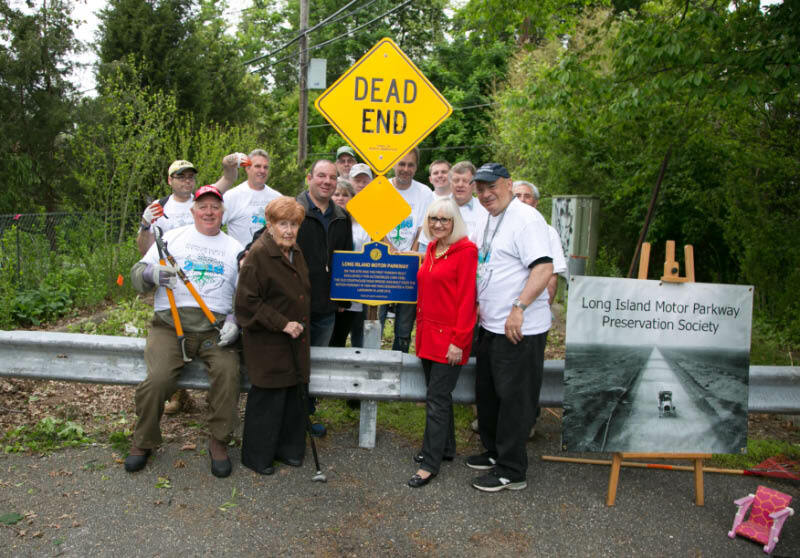 Hope that will stimulate walking, biking and enjoying North Hempstead’s new landmark. Where did Courthouse end or lead too? Brian, Old Courthouse Road connected I.U. Willets Road and Shelter Rock Road (formerly call Highway to Mineola. ).See above 1924 aerial. Great teamwork from the entire crew. 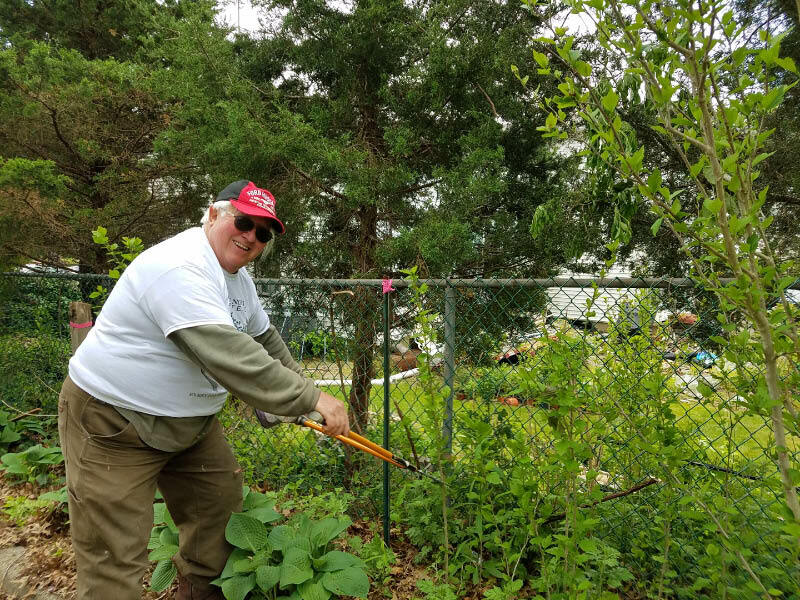 I really enjoyed helping out and seeing the results of the project. Looking forward to assisting with completion of the job in the fall. Mike, I totally agree! Great teamwork and lots of fun! Hi Howard and crew!! Great job!!! 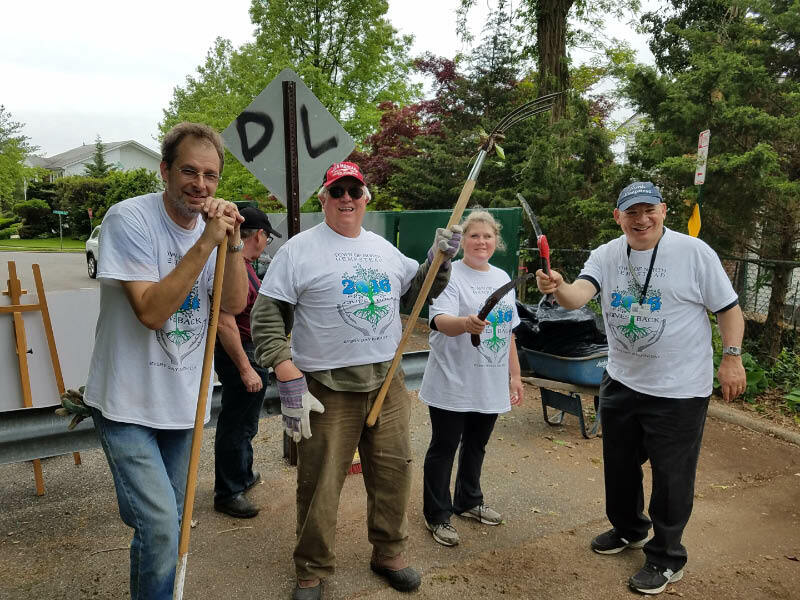 The Councilman and I would like to thank you for getting together such a top notch team for the Community Cleanup and for all of your organizing efforts. It was a phenomenal event and the bridge looked so nice after our hard work. Can’t thank you enough. 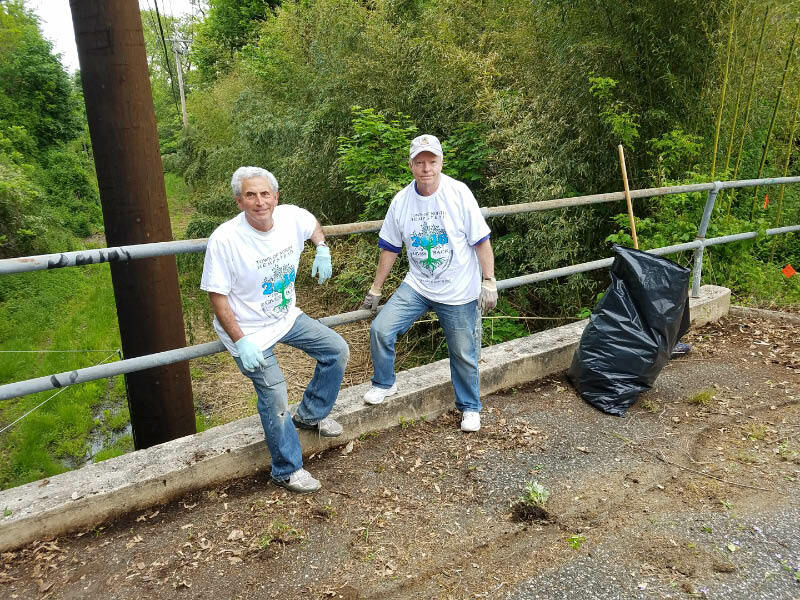 Members of the Long Island Motor Parkway Preservation Society, officials from the Town of North Hempstead and local residents completed the initial phase of the clean-up of the Old Courthouse Road Motor Parkway Bridge. 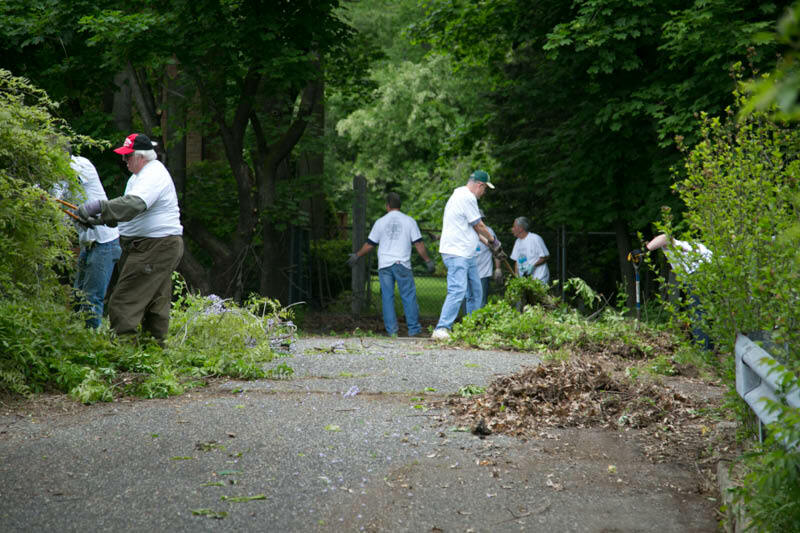 Check out Saturday’s wonderful clean-up. Check out the before and after photos for the amazing results. 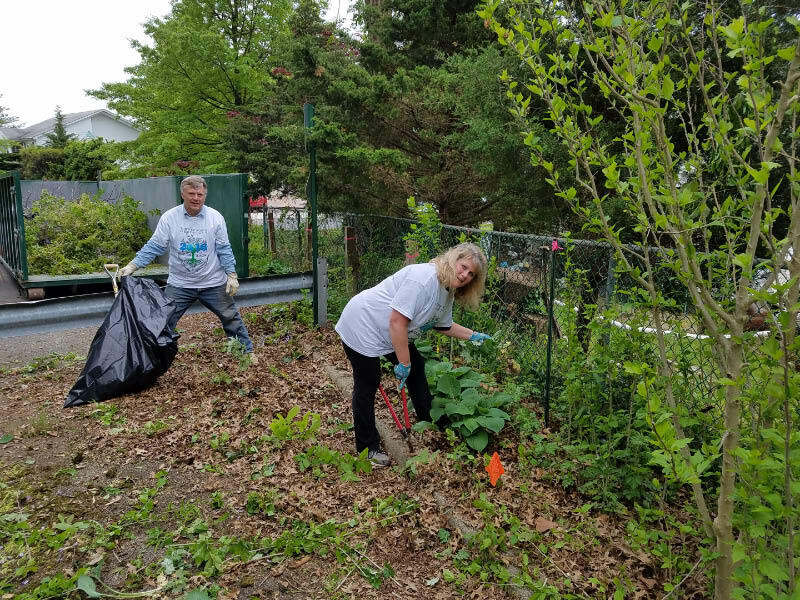 If you would like to see more about this weekend’s Community Cleanup . Big thank you to Howard Kroplick for helping to organize such a great event. Nice job by all ! 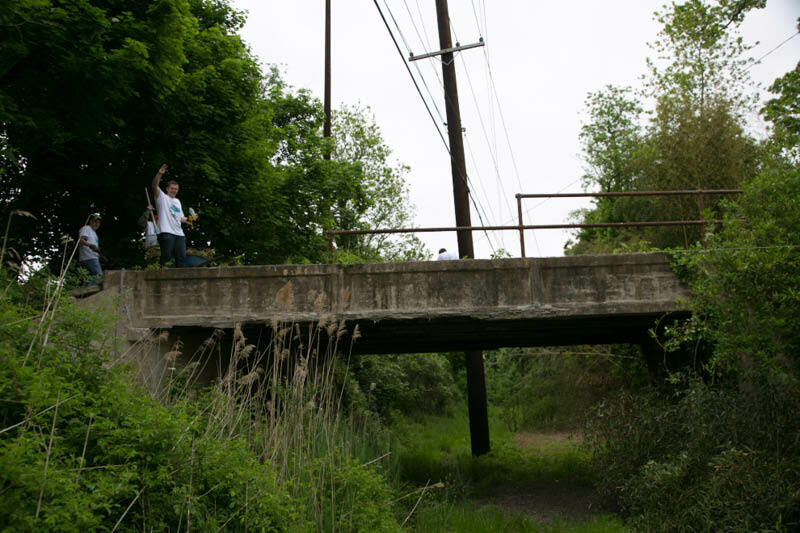 Amazing results and great pics of historic OCR bridge; she still stands tall! This Motor Parkway section could be part of an excellent 1.5 mi. stretch of rural greenway from NHP Rd to Herricks High School at I.U. Willets Rd. This right-of-way appears mostly undisturbed and intact. 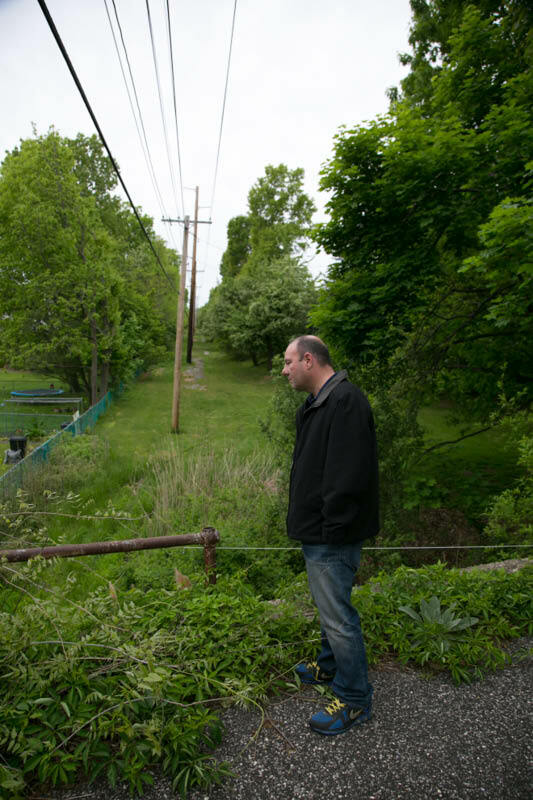 With tall brush fencing off the backyards, the scenery would be reminiscent of the ol’ days. Now that would be inviting and practical for all. Hats off for another LIMP win at OCR!